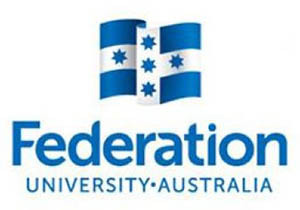 Federation University Australia (FedUni) is Australia’s newest university, built on a history of success. FedUni was created by bringing together the University of Ballarat and the Monash University Gippsland Campus. We are the only regional, multi-sector university and the third-oldest site of higher learning in Australia. FedUni has around 23,000 international and domestic students. We are committed to serving regional Victorian communities, yet have a broad national and international outlook. FedUni offers the best of both worlds: combining a strong tradition of 144 years of tertiary education with the freedom and dynamism that comes with being a multi-sector University with close links to local industry and technology. For more information, go to Federation University’s website.